Wicker Park Orthodontics has been providing orthodontic care to Chicago’s West Loop for the past decade. Highlights of this small healthcare business include a prime location, top-notch doctors, and a range of orthodontic solutions for children and adults, including Invisalign. Wicker Park Orthodontics consistently improves other people’s appearances, and it had no qualms about tackling its own. The company overhauled its branding, renovated its offices and redesigned its website all at the same time - talk about a lot of change at once! 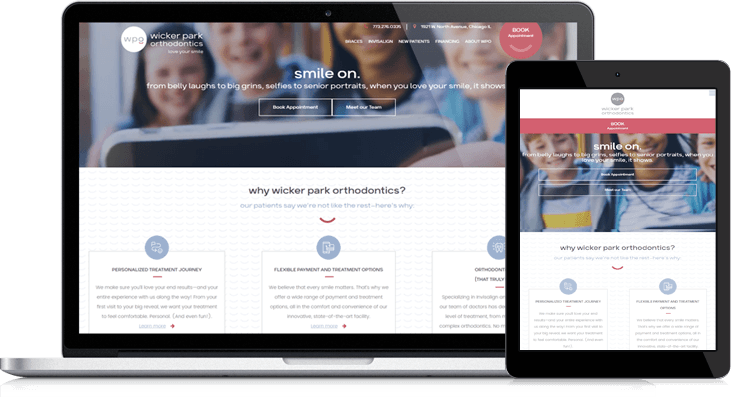 With a goal of bringing new patients to their office, Wicker Park Orthodontics needed a fun, modern and mobile-friendly website that appealed to their main demographic: middle to upper-class moms with young children and teenagers. Wicker Park Orthodontics had a marketing maven on hand, and she brought multiple ideas to the site’s architecture, style and features. Wicker Park collaborated with LyntonWeb on the website templates, design and even contributed to building the site's content after introductory WordPress training. 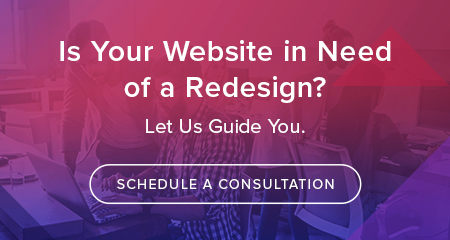 The site's design was ultimately inspired not only by their new branding, but the neighborhood of Wicker Park, Chicago - an area known for its art community, good eats and creative culture. The overall need to revamp the offices, update the branding and redesign the website were all aligned to appeal to Wicker Park's demographic - moms with preteen and teen children. The redesigned site boasts an updated style that reflects the company’s new look and feel, along with a juicer.io feed to pull in social media on the homepage. In addition to serving as a solid foundation on which to further build its brand, the website features valuable information on orthodontic solutions, dentist bios, finance plans and what to expect on your first visit.